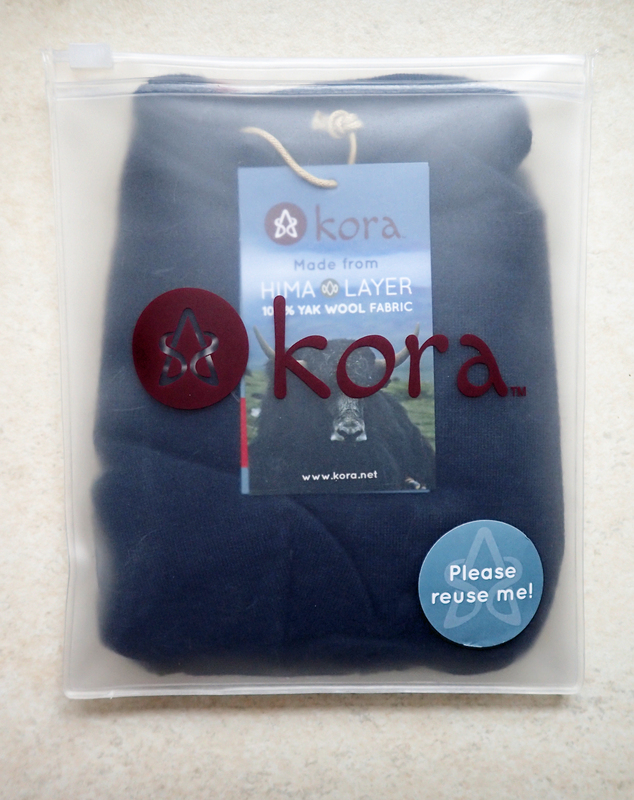 I have been looking at the Kora products, on-line only, since I first became aware of them in 2013 when they launched their first two products, a thermal zip top and leggings. I was intrigued by them not only because of their ethos, but also the apparent functionality of the products. Kora founder, Michael Kleinwort, had been trekking in the Eastern Himalayas and was struck by the efficiency of the yak’s shaggy coat in keeping them warm at extreme heights in extreme winter conditions. Much of this was down to the soft underwool beneath the shaggy outer coat. It was this underwool, shed naturally each spring and sold by the herders, that Michael worked with to produce the company’s first fabric, called Hima-Layer™ Original 230. I have long been a fan of Merino wool. It doesn’t irritate my skin, feels comfortable and we all know of its pong-resistant abilities. I prefer the lighter weights of merino, layering as necessary. The only thing that slightly discourages me is an apparent lack of durability. I have made holes, worn holes, put my finger through holes and, basically, knackered, more expensive baselayers than I am really happy with. The most durable baselayer top I have used in recent years has been a Rab Meco long sleeve Zip Tee. 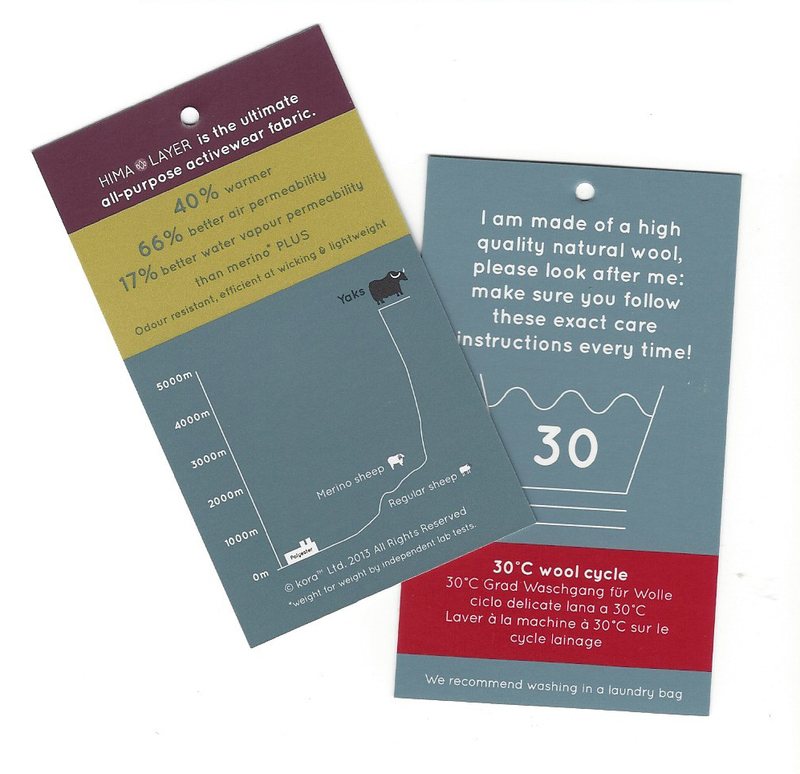 These were available in three of the four weights of MeCo fabric that Rab used. MeCo is a mix of 65% merino wool with 35% polyester with activated carbon. While not quite as soft as pure merino it continues to hold up well. I note that this product seems to have been withdrawn from Rab’s catalogue in recent years, a shame. However, I do like to stick to natural products where I can, my theory being that something that has evolved over thousands of years has proven itself suited to specific needs and environments, and any synthetic product development is always going to be playing catch-up. Which brings me back to Kora and their use of yak’s wool. The theory of a natural wool adapting over multiple generations of beast in harsh climes sounds good to me. I have been looking at improving my sleeping layers- long sleeve top and leggings worn at night to not only give a little additional warmth, but also keep the skin and associated sweat and grime away from the quilt. Such base layers can also be bought into use in extreme weather conditions during the day on longer hikes. I have used silk in the past as well as synthetic products but none of these were particularly to my liking. A few years attempting to get to grips with a silk sleeping bag liner failed too, combined with my night long thrashing about and constant turning meant that I tied myself in knots in the damn things. 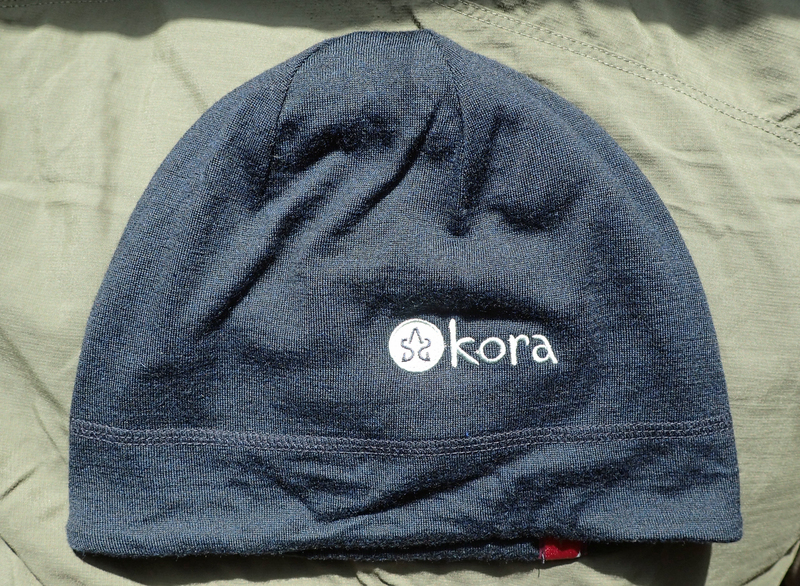 Not quite ready to commit to the, admittedly quite expensive, high-end baselayer products that Kora supply, I recently decided to dip my toes in the water as it were, and purchase one of their Shola 230 Esker hats. Available in two colours (blue and ‘Shale Black’) and in one size, I eschewed my normal grey or black choice and went for the Obsidian blue, shown above. The ShoLa hat is made of the, 100% yak wool, Hima-Layer Original 230 fabric for which Kora make bold claims- 66% more breathable than merino, 40% warmer, weight for weight. The usual wicking abilities, odour resistance, 40+ UPF and, importantly for me, softness and consequent no itch. OK, so its only a hat I have purchased. But I am also quite impressed with what Kora are seeking to achieve. They work with the Kegawa Herders Cooperative, a group of more than 80 nomad families from whom they commit to buying yak wool at a premium. While some additional wool is purchased from local agents, Kora are working to move more closely to the herder families for their supply. Importantly, the products that Kora are providing seem to be not only fairly stylish (as much as base layers can be! ), but also effective. 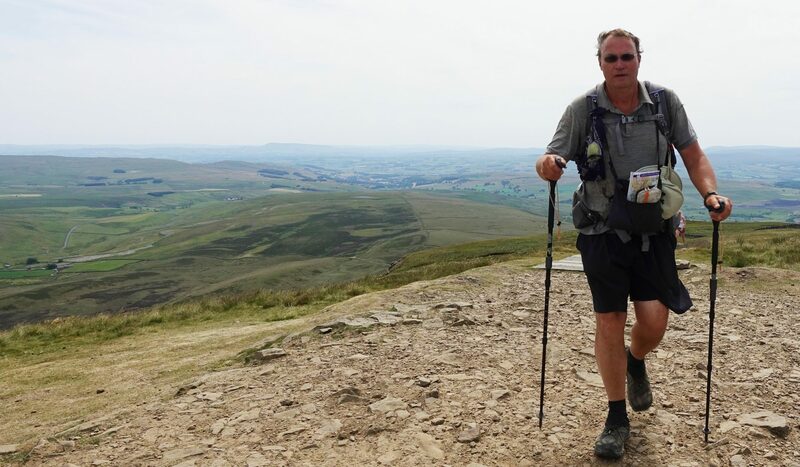 Which is, after all, the bottom line for outdoors wear. It is early days for me and my little purchase. Not yet having been washed, the material appears to not be as soft as 100% merino. The Kora product has a lovely fine and tight weave and flat stitched seams. The reversible hat is comfortable and I am hoping for both performance and durability. I note that it can also be pulled down nicely to cover the eyes and ears completely, which may mean that it is especially useful if also worn as night time attire, my quilt lacking a hood. If these important factors come up to scratch, I look forward to dipping further into Kora’s developing product line. These are high end and fairly expensive products but if the durability is there, they will pay for themselves. My most direct comparison for the Esker hat would be my Icebreaker beanie. 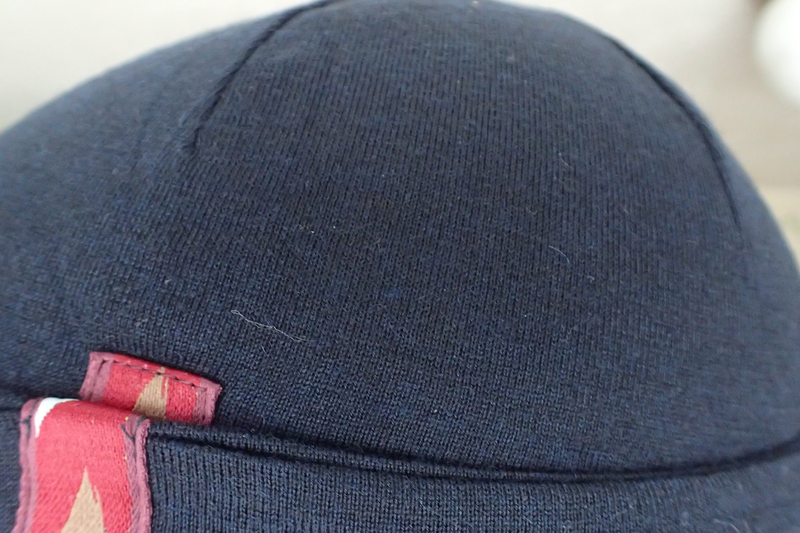 This 100% merino wool hat is probably a 150 weight fabric, weighing 68g against the Esker’s 57g. Both are a double thickness of fabric. This entry was posted in Gear, Uncategorized and tagged Baselayer, Clothing, gear, hat, Kora, merino on January 30, 2016 by Jools.